Welcome to London, one of the world’s most captivating cities! We are transferred to our London hotel and the remainder of this day is at leisure. Perhaps explore a little with a walk along the Thames? This morning we board the Eurostar for our Chunnel crossing to France. Upon arrival in Arras. 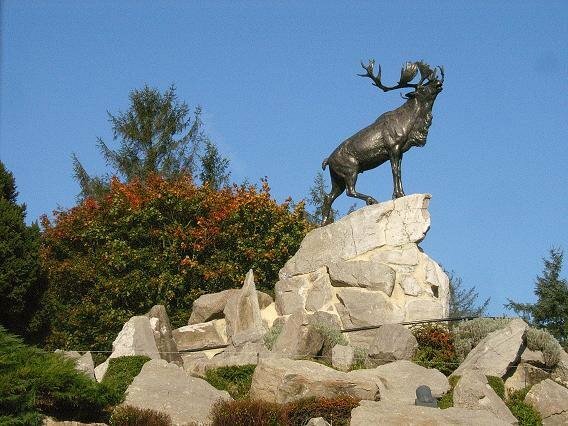 Today we make our way to Beaumont Hamel, the site of the Newfoundland Memorial to commemorate the 101 year anniversary of the battle of the Somme. An early start as we travel first to Vimy Ridge to visit the Memorial and take in a tour of the trenches. Later we make our way into Belgium and Ypres and see sites such as Tyne Cot, Langemark and Vancouver Corner, Stop in Passchendaele and see the memorial. 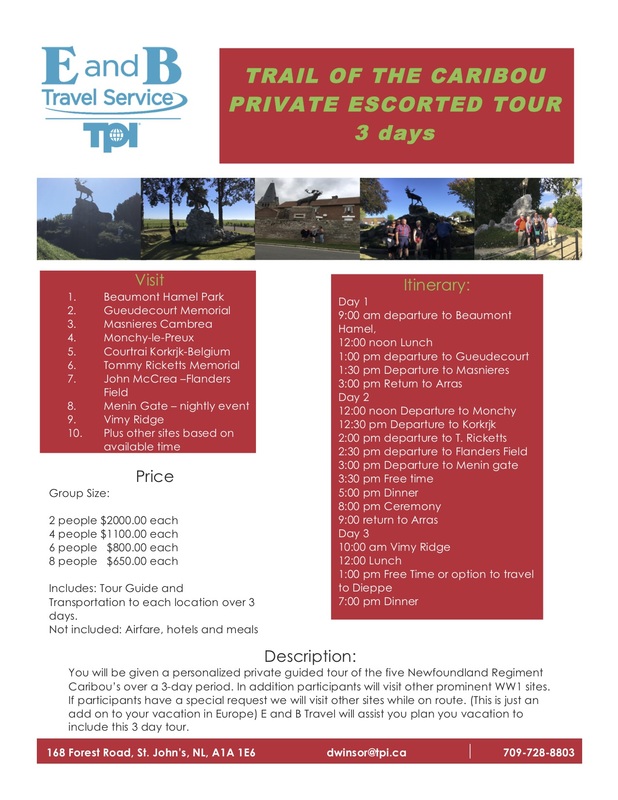 See the Essex Farm Cemetery where Ltd. Col. John McCrea wrote the immortal poem – ‘In Flanders Fields’. We have free time to explore before making your way to the Menin Gate to witness The Last Post Ceremony at 8:00 pm. Later, we arrive at our hotel in nearby Kortrijk. We travel back into France and Calais to board our ferry across the English Channel to England and see the White Cliffs of Dover. We board our coach and travel to London for our two night stay. This morning we enjoy the sights and sounds of London on our panoramic tour with a local expert featuring Buckingham Palace, House of Parliament, Piccadilly Circus, Westminster Abbey and Trafalgar Square. Later, we enjoy an included visit to the Imperial War Museum. In the evening, we share a Farewell Dinner in a local restaurant to celebrate our journey. After breakfast, our group is transferred to London Heathrow for our return flight to Canada.